July 2010 was a golden month for me, passing in a tangle of organza and pearls as I prepared to marry my boyfriend Steve. It was special for another reason too: I won the Bradt / Independent on Sunday travel-writing competition. 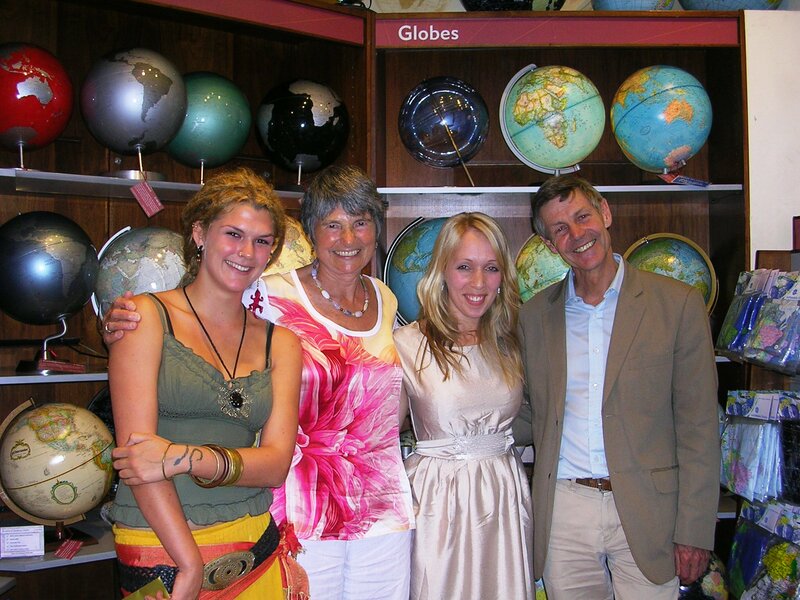 The prizegiving evening took place on a Wednesday evening at Stanford’s bookshop in Covent Garden, with the six final entries adjudicated by journalist and broadcaster Matthew Parris. I felt like a fool for even turning up. In my eyes, the other five were far more profound, literary and worthy of winning than mine. When Matthew Parris skipped over my entry in his comments, promising to return to it shortly, Steve nudged me hopefully in the back. I ignored him, wincing a little. Probably mine wasn’t worth talking about. So when my name was called, it took me a moment to realise I needed to make my way over to the stairs where Hilary Bradt was waiting to hand me a golden envelope. I don’t know whether I was expected to make a speech, but I made do with grinning and blushing and waving awkwardly at the camera. I remember thanking Jonathan Lorie of Travellers’ Tales, as I’d learned lots from his writing workshops. I won a five-star holiday in Malta and Gozo, plus a commission with the Independent on Sunday. Kate Simon, the IoS‘s travel editor (and another of the judges), took me for lunch and dished out excellent advice on pitching and writing saleable features. The Irish Independent reprinted my winning article and I’ve had more commissions from them since, as well as work with other publications. I’ve just returned from a press trip around Nova Scotia too – the kind of assignment I could only dream about before. The most valuable part of winning the Bradt competition, though, is that it’s allowed me to think of myself as a real travel writer – or at least someone who writes real travel articles. I was bashful about this at first, but every time I have a feature accepted, it gives me a tiny bit more credibility and confidence. I’ve even dared to send my book manuscript out into the world and, while I haven’t managed to sell it yet (it’s probably not commercial enough), the positive feedback I’ve received from two well-known publishers has encouraged me to start reworking it. I can’t make it to London for this year’s prizegiving evening (thank you to Bradt for inviting me), but I wish the six finalists all the very best and hope they find the competition is a springboard for their writing too. Left to right: Catriona Rainsford (the winner of the 'unpublished' category); Hilary Bradt; a red-faced me (Marie Kreft) and Matthew Parris. PS. In case you’re wondering, Steve and I did get hitched! My article was published in the Indy on the morning after our wedding and, as it was our hotel’s publication of choice, all our guests were reading it at breakfast. Surreal, embarrassing and wonderful all at once.